1989 Catalina 30 Catalina 30 1989 Model. 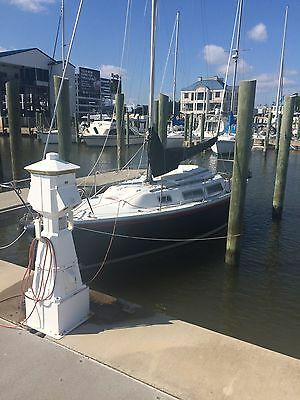 Roller Furling, Boom Vang, Lazy Jacks, Auto Pilot, Remote Wind/speed gauges, cockpit cushions, Wheel Steering, A/C Heat, Diesel engine, wing keel 310 draft. Very roomy and stable boat. Engine runs great, needs new transmission and the auto pilot stop working (only turns to port). I dont use the boat enough to keep it, needs a little TLC. I am revarnishing the wood inside & out. 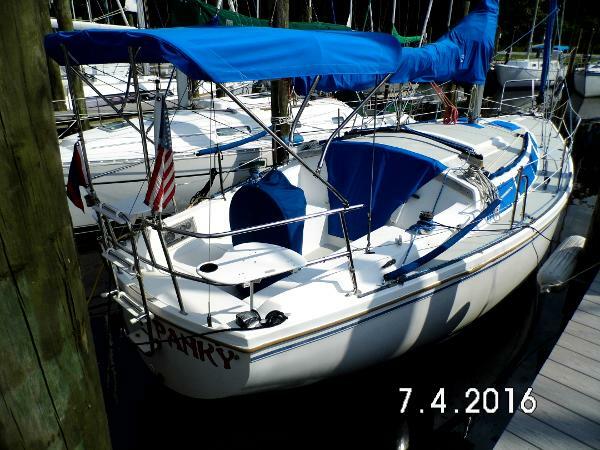 Price reduced $13,500 OBO, Boat is in average to above average condition. NADA LOW RETAIL (without Auto Pilot) $19,190. Have a quote to replace Transmission for $2400. Will consider trade for 20 -22 ski/deck boat. Catalina 30 1989 Model. 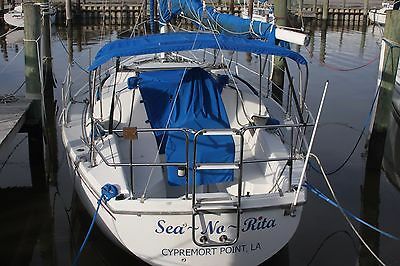 Roller Furling, Boom Vang, Lazy Jacks, Auto Pilot, Remote Wind/speed gauges, cockpit cushions, Wheel Steering, A/C –Heat, propane stove/oven, Pressure hot/cold water, 3 batteries with charger, Diesel engine, wing keel 3’10” draft. Very roomy and stable boat. Engine runs great, needs new transmission and the auto pilot stop working (shows low battery), windows leaked at one time causing some of the wood trim to rot. I don’t use the boat enough to keep it, needs a little TLC. Price $14,500, NADA LOW RETAIL (without Auto Pilot) $19,190. Have a quote to replace Transmission for $2400. Will consider trade for 20’ -22’ ski/deck boat. 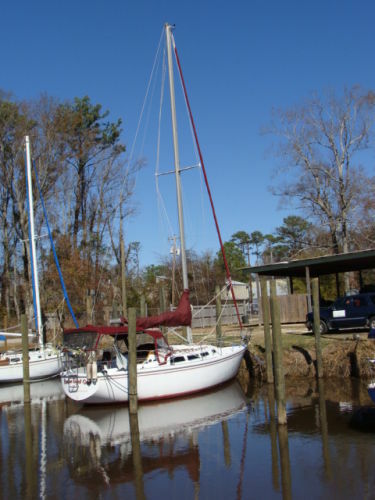 1992 Catalina Sloop This classic, Frank Butler design, remains one of the most popular 30 footers ever produced. The Catalina 30 has lots of room to move about and 6'+ head room. Fold down dinette table leaves an open spacious salon. 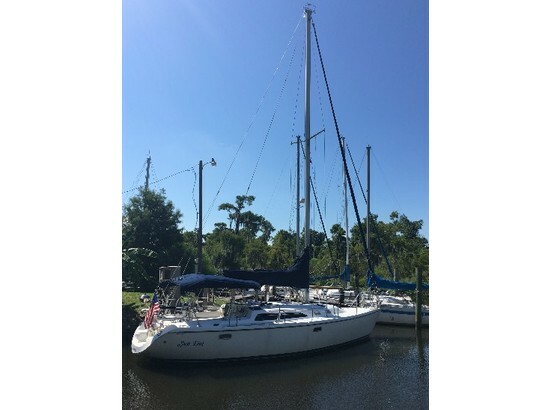 Spacious, comfortable, easy and stable sailing make the Catalina 30 a favorite among cruisers. 1986 Catalina Sloop Walk in any marina from Seattle to Ft. Lauderdale, San Diego to Annapolis or Chicago to New Orleans, and the first thing you will notice is the number of Catalina boats in the slips. There must be a good reason for their popularity; Hey you guessed it, they are a good boat and represent one of the best values on the market today. The Catalina 30 is atop its pinnacle, the most popular 30 footer ever designed and built. Occasionally one comes along that outshines the rest and that is what we have with the "Hanky Panky ''. She has had a complete upgrade. I'll list all in the area of concern. 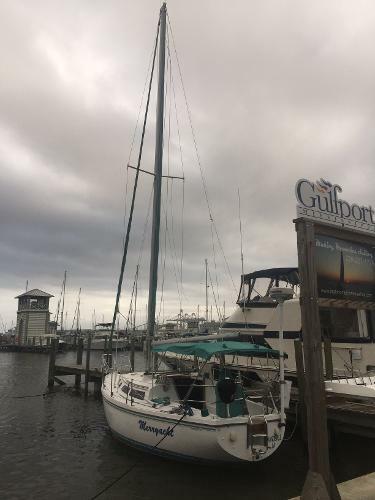 1982 Catalina 30 Sloop The Catalina 30 offers more boat inside and out than most production sailing sloops and its why she remains so popular, not to mention 6'4" interior head room. The Brown Eyed Girl will make you smile with her NEW (not rebuilt) Vetus 11 Hp 2 cyclinder engine (18 hours), New Bimini Top, New Doger, New Air conditioning Condenser, New A/C Water Pump, New Thermostat, New A/C Wiring, New Bilge Pump, New Float Switch, New 10Amp Battery Charger, New Main Sail Cover. It is nice to find a fresh water sail boat that is mechanically & electrically sound and stays that way. Clean Bilges. Stainless Dingy Davits and Bow Sprit option make this one of the most user frienldy models on the market today. Don't spend all year fixing things, get one that is really ready to go.